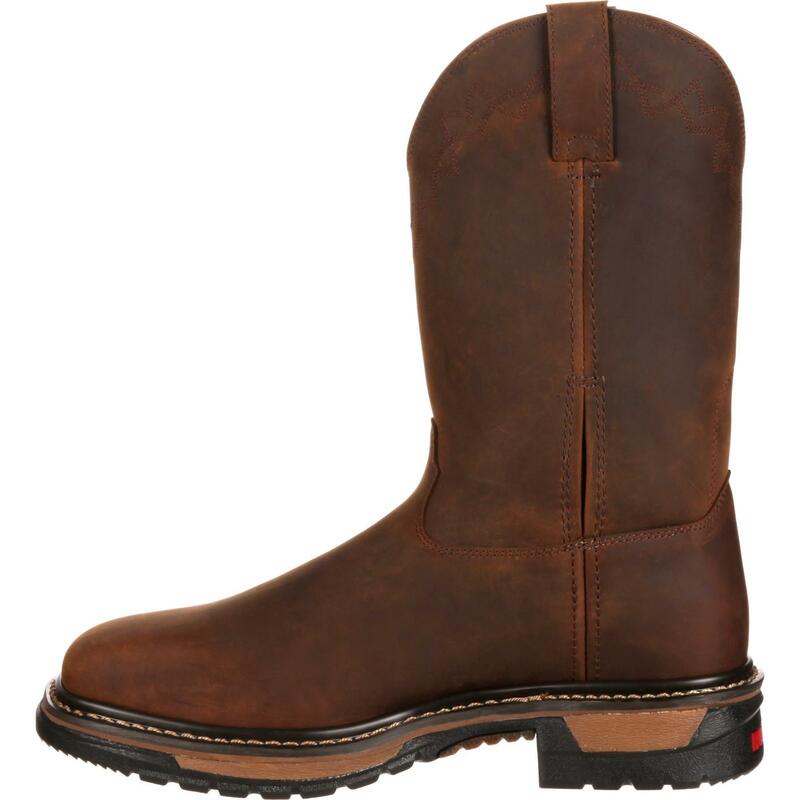 Rocky® Original Ride Western Boots are designed for comfort with the 8-Layer Rocky Ride Comfort System. The Comfort System was created so each element and layer offers additional comfort, from the orthotic element to the outsole. When you wear these comfortable cowboy boots, you can work, walk or stand all day. In addition to comfort, you benefit from other quality materials. 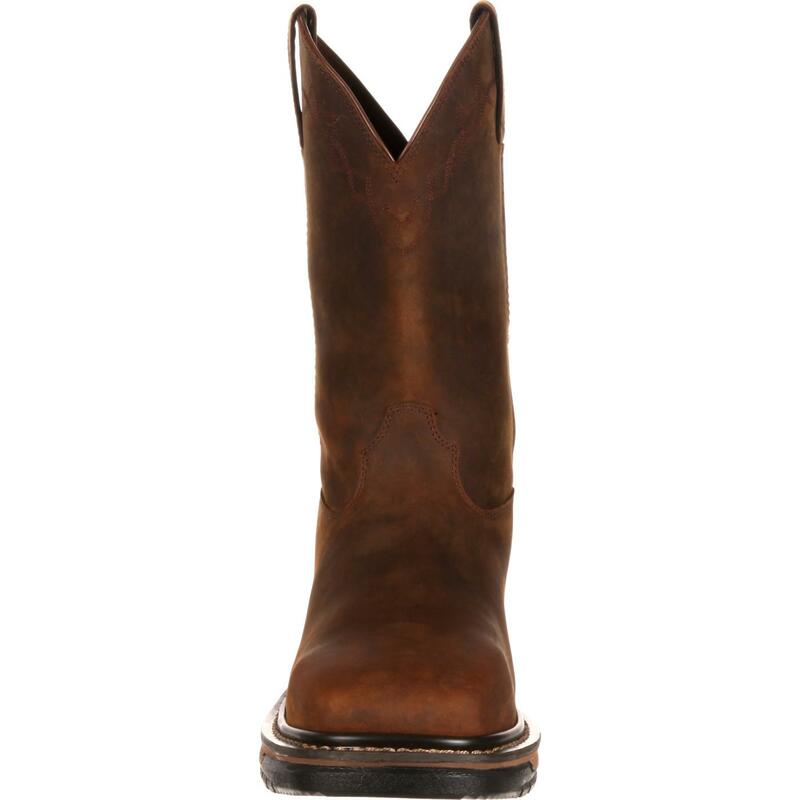 These dark brown western boots are made of full-grain leather and are 11-inches tall. 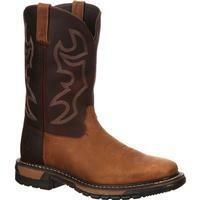 These are men's square toe boots. 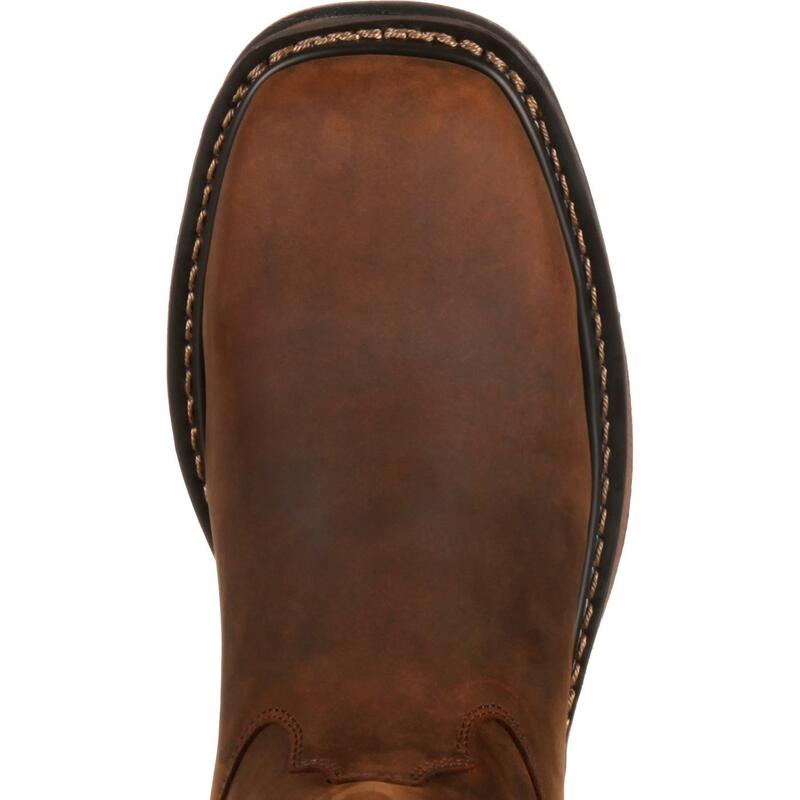 Durable all-around welt construction and double-row welt stitch provide extra strength and longevity to these men's boots. 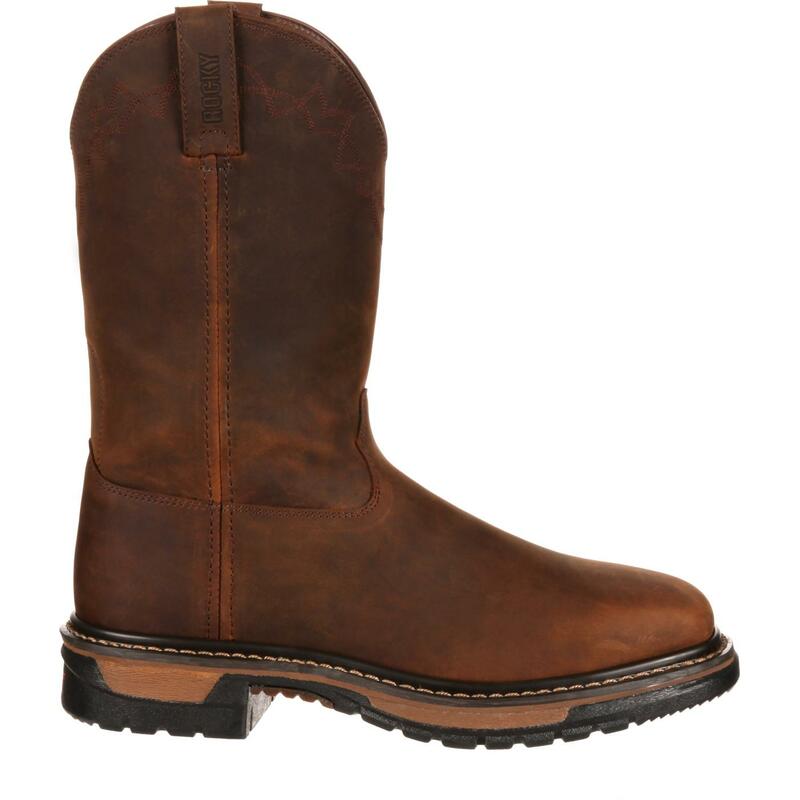 These are the comfortable cowboy boots you want! Layers One and Two of the eight-layer system feature the orthotic form and rear foot cradle. Layer Three is an upper enclosed cushion. The top layer is cushioned and perforated. 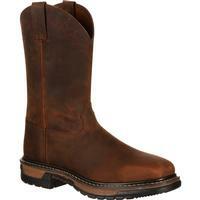 After wearing your western work boots for a while, this layer forms to the contours of your foot! Layer Four is a welt innersole with a Flex Facilitator. 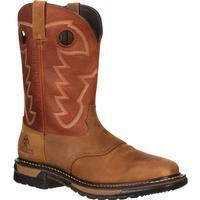 This gives your work boots super flexibility. Next, there's the full-length EVA midsole. That's Layer Five. It absorbs shock, but is extremely lightweight. Layer Six is the double-ribbed tempered steel shank. 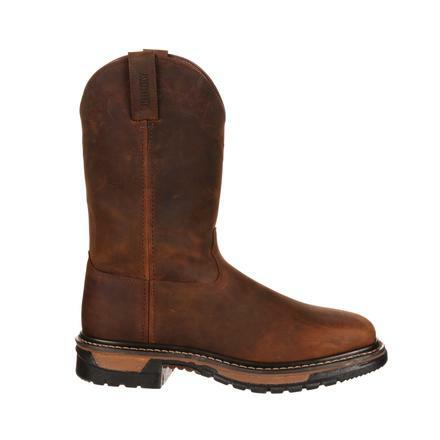 It offers stability and extends the life of the boots. Layer Seven is the forefoot propulsion pad and rear foot landing pad. This is a unique two-part highly-cushioned system that increases three things: flexibility, shock absorption and comfort. Finally, there's Layer Eight. 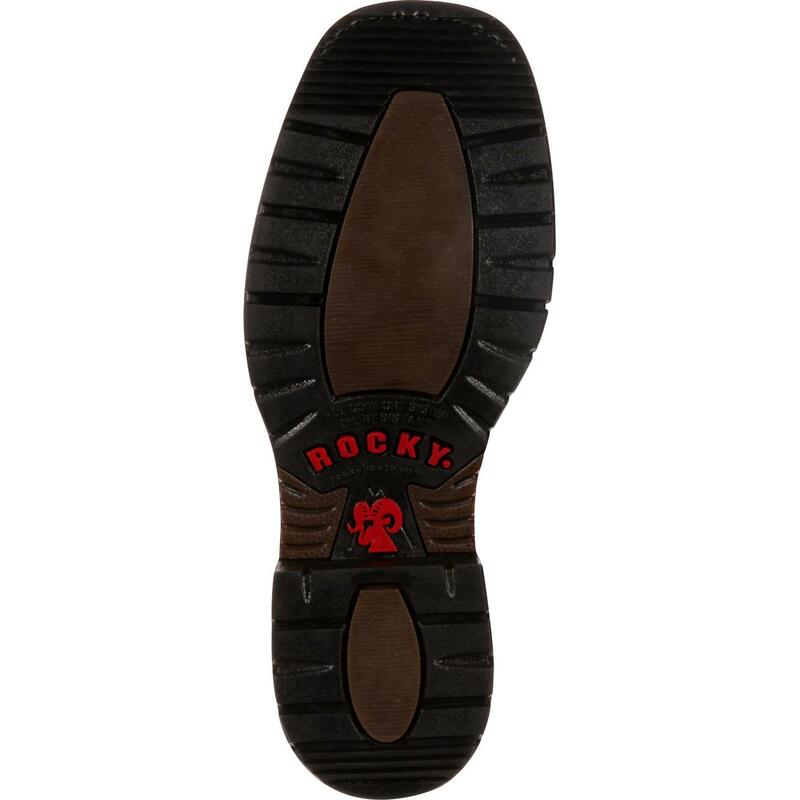 The Rocky Ride Outsole is a rubber work platform outsole that is oil-resistant and provides secure footing. The forefoot and rear section have a softer density to give you sure-footed traction. 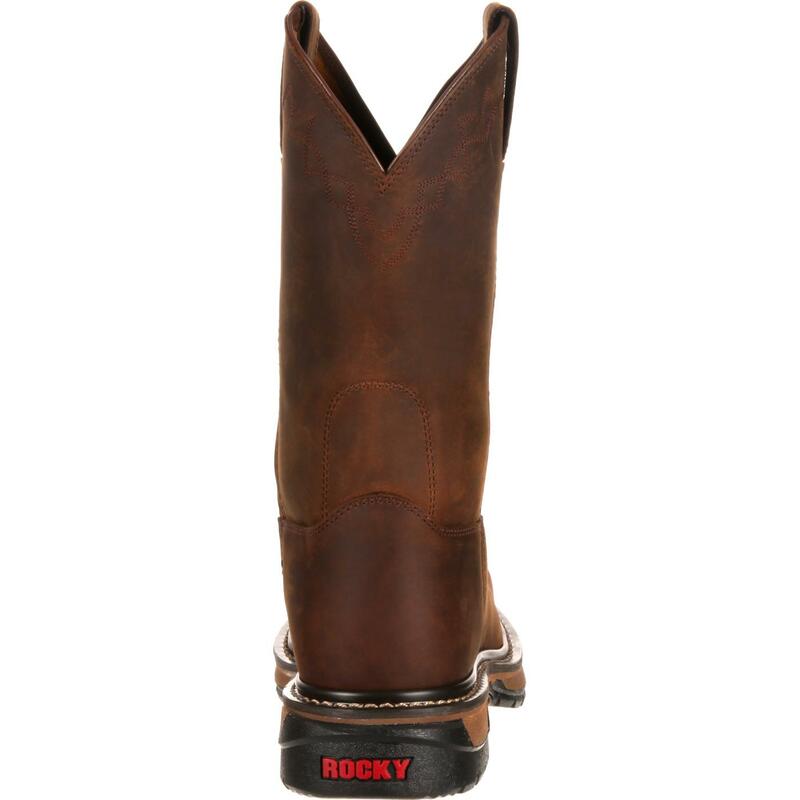 For men's comfortable western boots, get the Rocky Original Ride!